Behind the scenes at Wymondham Town we’ve been hard at work this summer renovating and redecorating our clubhouse. Now we’re pleased to announce the relaunch of our social club and function room as The 1883 Bar, a name derived from the clubs roots (it’s when we were founded). 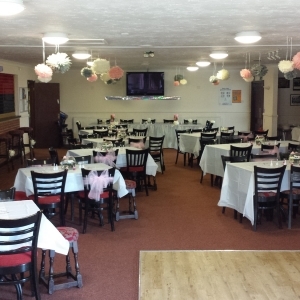 The 1883 Bar is available to hire for both daytime and evening functions for up to 100 guests. 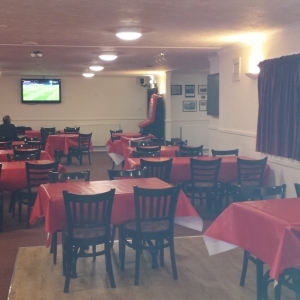 With a fully licensed bar, kitchen facilities and 50 inch plasma TV screen its the perfect place to hold your party or corporate event. To make things even better if you’re a club member you’ll get a whopping 20% discount on the rates above and 20% off your purchases from the bar on the night! All bookings are subject to a £50 non refundable deposit to be paid at the time of booking in order to secure your booking. The remaining balance, along with a £60 refundable damage deposit are due 30 days in advance of your booking. Failure to comply with these deadlines could result in cancellation of your booking and loss of your security deposit. Full terms & conditions are available from the club. For more information contact admin@wymondhamtownfc.co.uk or call the club house on 01953 607326.